Who Invented Peanut-Butter? - Who Invented? / FEATURES / Who Invented Peanut-Butter? Dr John Harvey Kellogg – The invention of peanut-butter is attributed to three people but Dr John Harvey Kellogg patented his process for creating it in 1895. It was in 950 BC that the first form of peanut-butter was found. History suggests many theories as to who invented peanut butter and when. Peanuts grew as a crop in South America and the Inca civilization consumed it in their food in the form of a thin paste, so arguably they were the first. Indians and Chinese also had groundnuts which they turned into a dry powder. The Africans got peanuts through trade and it was the British and the Spanish who then traded them more widely to introduce them to different parts of the world. 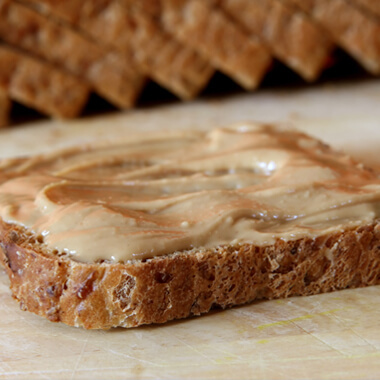 It is believed that in 1840, Rose Davis of New York made the first prototype peanut butter. She got the recipe from her son who saw it being made in Cuba by natives. Later on in 1884 the Canadian Marcellus Gilmore Edson first patented peanut paste. This was followed in 1895 by Dr John Harvey Kellogg who patented the process of creating peanut butter from raw peanuts which he marketed as a protein food product for people who could not chew on solid food. Then in 1903, the American Dr Ambrose Straub patented a peanut-butter making machine.